Eukaryotic genome complexity is enriched by embedded introns which expand the number of proteins produced by alternative splicing, provide unique environments to embed genes and regulatory elements, and create opportunities for new gene assembly through recombination and intron evolution. Such benefits come at a cost, however, as approximately 15% of human genetic disorders result from splicing errors associated with cis- (splicing substrate) mutations that alter gene-delimited splice patterns or trans- (spliceosome subunit) mutations that may impair general pre-mRNA splicing. A better understanding of spliceosome composition and the molecular basis of splice site selection will facilitate the diagnosis and, ultimately, the treatment or correction of splicing-related disorders. The contribution of spliceosome assembly to the mechanism of pre-mRNA splicing is the focus of our work. 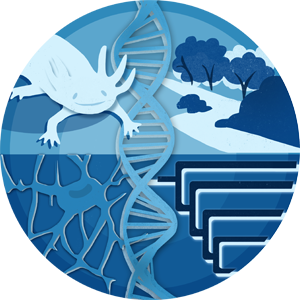 Metazoan genes may contain dozens of intron/exon borders, some of which are used only in response to specific developmental or environmental cues. For many genes it is the stable recruitment of the U2 snRNP to the branchpoint region of the pre-mRNA that modulates splice site choice. Pre-mRNA branchpoint recognition is complex and even in the case unregulated transcripts, progresses through the sequential association of multiple splicing factors (e.g., SF1/BBP – U2AF65/Mud2p) and snRNPs (U1, U2, and U6). While the basic pathway of spliceosome assembly is well conserved through evolution, Saccharomyces cerevisiae (henceforth yeast) lacks canonical SR splicing factor regulators found in metazoa and relies on more rigidly conserved pre-mRNA consensus elements to direct splice site choice. Yeast gene structure is also simpler, with few genes containing more than a single intron. Accordingly, yeast offers an excellent model to investigate the assembly and function of the basal splicing apparatus in the absence of complications resulting from complex gene organization and splicing. Currently, we using genetic and proteomic approaches to investigate the dynamics of pre-mRNA branchpoint selection in vitro and in living cells. Rymond, BC "The branchpoint binding protein: in and out of the spliceosome cycle." Advances in experimental medicine and biology 693, (2010): 123-41. Details. Seipelt, RL ;Zheng, B.;Asuru, A.;Rymond, BC "U1 snRNA is cleaved by RNase III and processed through an Sm site-dependent pathway." Nucleic acids research 27, 2 (1999): 587-95. Details. Rodriguez-Medina, JR ;Rymond, BC "Prevalence and distribution of introns in non-ribosomal protein genes of yeast." Molecular & general genetics : MGG 243, 5 (1994): 532-9. Details. Rymond, BC ;Rokeach, LA ;Hoch, SO "Human snRNP polypeptide D1 promotes pre-mRNA splicing in yeast and defines nonessential yeast Smd1p sequences." Nucleic acids research 21, 15 (1993): 3501-5. Details. Rymond, BC "Identification of sites of pre-MRNA/spliceosome association." SAAS bulletin, biochemistry and biotechnology 4, (1991): 76-80. Details. Rymond, BC "The branchpoint binding protein: in and out of the spliceosome cycle." Advances in experimental medicine and biology 693, (0): 123-41. Details.